The Union of European Football Association (UEFA) National Federation’s Manager Davit Petriashvili died in a road accident on December 21, on the crossroad of Pekini and Bakhtrioni streets. The Prosecutor’s Office of Georgia has already launched an investigation, though Georgian media and Petriashvili’s relatives say that official bodies have not yet released official statement. According to the media, Petriashvili was crossing the street when a patrol police car crushed into him. 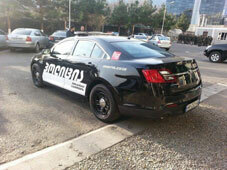 An investigation is underway under Article 276 of the Georgian Criminal Code Violation of Traffic Rules, concerning the operation of vehicles causing a fatality. Relatives of Petriashvili said that he had come back to Georgia a day earlier. “We have no idea about the details, the Prosecutor’s Office has already launched an investigation,” they stated. The Georgian Football Federation (GFF) has released a statement concerning the accident. "The death of Petriashvili shocked the Georgian and European football community. On behalf of UEFA, we would like to convey our deepest condolences," reads the statement. Due to the accident, GFF has cancelled all planned events until the end of 2015. Petriashvili had been an official delegate at UEFA and Federation Internationale de Football Association (FIFA) matches. He also was a member of world and European championship organizational committees. 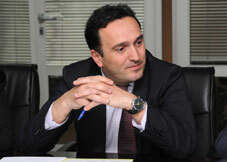 He started his career at the GFF and was even a former director at the Dinamo Tbilisi football club.